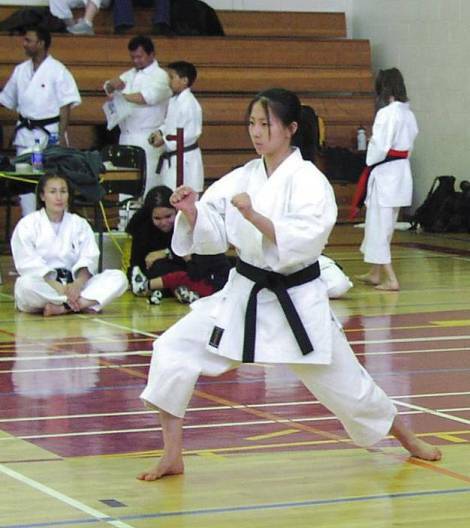 Li Chen does the kata Jion at the 2002 Montreal Tournament. 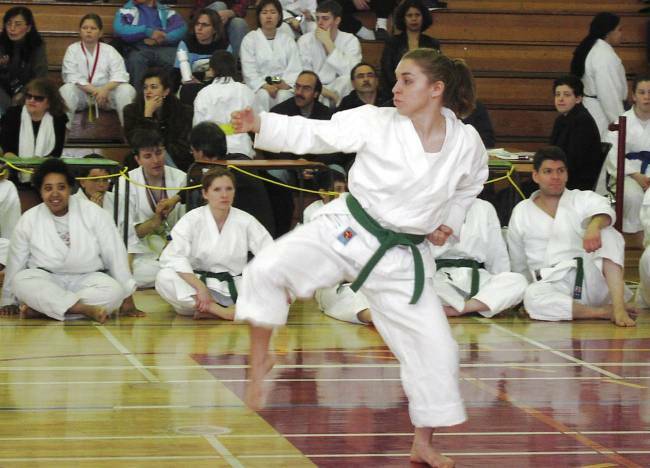 Aviva Bashan and side snap kick in Heian Yondan. The UConn/Boston team to Montreal. 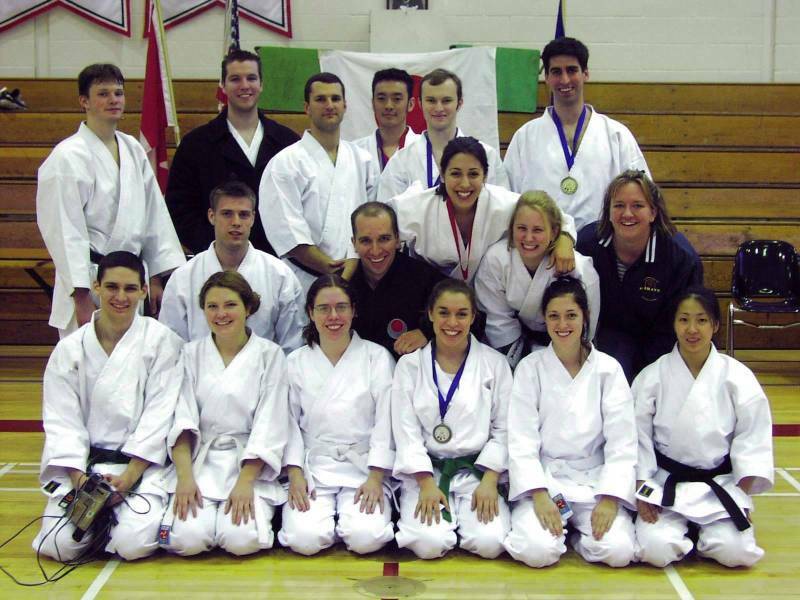 Front: Matt Delude, Alison Flannery, Katy McGrath, Aviva Bashan (2nd Green Belt Kumite), Marsha Gaylord, Li Chen. Middle: Jason Dina (1st Brown Belt Men Kumite & Kata), Josh Wilbur, Lia Burnham (3rd Black Belt Women Kata), Melissa Jacobs, Beth Jankowski. Back: Ryan Jacobs (4th Black Belt Men Kata), Mike Burnham, Andrew Bakoledis (3rd Black Belt Men Kata), Hiro Hasegawa (1st White Belt Kata, 3rd Kumite), Mike Jacobs (3rd Black Belt Men Kumite), Dan Napier (1st Green Belt Kumite). The team of Andrew Bakoledis, Mike Jacobs and Ryan Jacobs took 1st in Black Belt Team Kumite & Kata.